There was a time (spoiler alert, and that time has passed) when just getting in front of people was enough to build brand awareness, and in turn, a profitable company. The days when simply throwing money at radio, TV, print, and more recently banner and other kinds of web and mobile media are going, if not already gone away. No longer does just getting in front of the eyes, ears or fingers of the buying public, cut it. Entrepreneurs need to step it up and be creative to ensure they 1) get noticed, and then 2) stand out. This is what today’s market wants and expects; and one thing for certain is that in the past several years of advertising and marketing, the expectations of the market have certainly changed! Everyone loves a great story. One that’s interesting and compelling. One that speaks to values, beliefs and world view. There’s no better way to get an audience (potential customers) engaged then presenting them with a story that will draw them in and express the true beliefs behind a company. Much like the next point of specialization, a great story attracts certain people. Those who read or hear the story will either be pulled in…or not. Some won’t and that’s okay. It’s another filtration process that removes those who don’t believe what you believe. Telling a great story is like any other tool to introduce potential customers to your brand. The ultimate goal is to connect with people in a way that your competition cannot, and not just with any people, those who have an affinity towards what you do. Those who want to be connected with your brand because of what you represent. Tell YOUR great story and you’ll attract the right customers. Although a very powerful “strategy,” getting behind a cause and promoting it must be done extremely carefully. Why? People can see through this a mile away. People are wise to companies associating their brand with a charity or cause to help lift their own profile. To make them look altruistic and good. If people sense any BS, anything contrived, the tactic will backfire and would-be followers will abandon in a heartbeat (and may be noisy as to why, thus the potential for further harm is real). Be sincere. Additionally, a natural connection to the business is helpful. Let’s say you own a retail store that sells outdoor gear for camping, hiking, etc. If you associated yourself with an environmental protection group, then that would make sense. There’s a believable connection there. The same would hold true if you were an independent publisher and supported free speech advocacy groups. These are congruent, they make sense together. Therefore, if you decide to get behind a cause, be sincere, and make it relevant. Your current customers will appreciate it and your future customers will be able to make the connection, leading to a “win-win” for everyone. You can be special to a few people or irrelevant to many! It’s better to be significant to a few. Specialization can be tough. In a sense it pigeon hole’s a business with very specific, non-written rules about how to act, who to reach out to, how to advertise, etc. It seems the very antithesis of getting the word out there. The benefit of becoming a specialist is that by doing so you attract a very dedicated subset of people whose values align directly with yours. This means they will be loyal to you and your business. The more you can niche yourself the more opportunity you’ll have to connect with a core, like minded group. Here’s an idea out of left field. Don’t just help your customers, help your industry, and by doing so, help your competition. What a way to stand out from the crowd, to be noticed, to be seen as a confident leader in your market. Any company that will work to help its competition succeed will draw a devoted following. 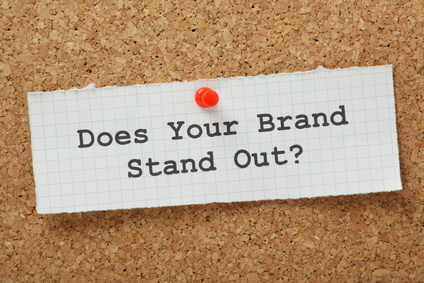 The thought of working for everyone’s benefit will elevate a brand naturally above the others. Any company that is seen as altruistic in their motives will have a special place in people’s minds and will draw in people who see altruism has a noble value. By aiming to enhance your reputation and impact your industry as a whole you’re telling people that you have a higher purpose. The truth is that by making big change in your industry, or at least trying, that your name will be out there, showing you fighting the good fight and doing what’s right. Customers, i.e., people, respond to this and you’ll benefit. You may be doing everything right. You may have great services, great employees, a great brand, a great creative team and great customers, but if you’re not telling anyone about it, your business will go nowhere. As an entrepreneur, you always need to make sure people know the amazing things your company is doing. It’s not about being obnoxious, but it is about marketing yourself in the right channels to get the word out. Luckily, there are a number of avenues open to make your voice heard. Whether it’s Facebook, Twitter, Instagram, Pinterest, the list goes on, there’s a platform to meet most people’s level of comfort (if you aren’t comfy with social media, or other types of media, hire someone who is, this is the time we live and operate in). Because of social media there’s never been an easier way for businesses to share their message. It’s straightforward, direct, has no direct costs and can be an amazingly effective way to target your exact potential customers. I said it before, I will say it again, Seth Godin is a genius! He has insight upon insight when it comes to promoting ideas. However, one of his greatest insights is also one of his simplest. His advice? Be remarkable! Serve only chocolate ice cream, but with 100 varieties; chocolate fudge, chocolate chip, chocolate brownie, chocolate cherry, etc. Stay open in the winter and serve 100 varieties of hot chocolate. Have a 20 scoop challenge where you create a massive chocolate sundae. Whoever can finish it within an hour wins a prize. Create a representation of your mascot. If it’s the obvious ice cream cone, then put it outside and make it giant with lights for chocolate chips. It will become your beacon. Model your shop after the old parlors of the 1950s. With employees dressed up in period outfits, a juke box, etc. In short, do anything you can to make people stop and go, “Wow!” That’s being remarkable and that’s setting yourself apart from the crowd. Standing out from the competition is a constant challenge. It requires creativity and the ability to think in ways that others won’t or can’t. It requires flexibility and the drive to create something that no-one has seen or experienced before. To blaze a trail rather than following one. However, regardless of the way you decide to stand out, do it, and do it well. By doing so you’ll be rewarded with the winning combination of a great brand and loyal customers.